AAP has previously made it clear that it will not form an alliance unless a seat-sharing formula in Haryana is put on the table as well. In response to Congress’s offer of four seats to AAP in Delhi, AAP leadership asked for three seats in Haryana and one in Chandigarh. 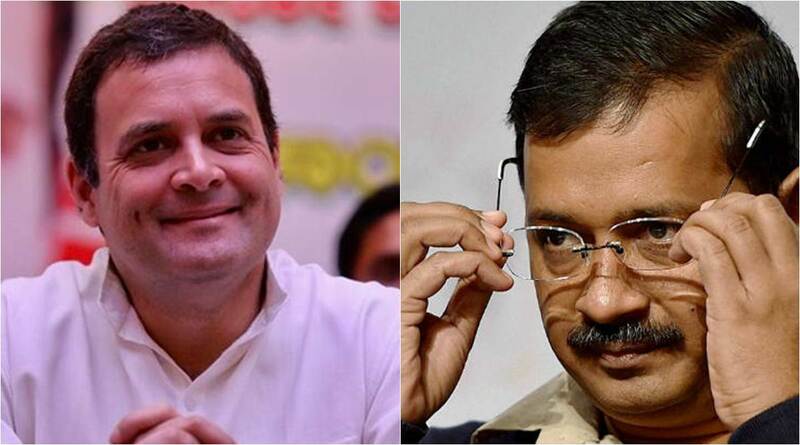 A day after Delhi Chief Minister Arvind Kejriwal said the Aam Aadmi Party would do “anything” to “save” the country from Prime Minister Narendra Modi and BJP president Amit Shah, Congress president Rahul Gandhi accused him of making a U-turn on the issue of an alliance with his party. “An alliance between the Congress and AAP in Delhi would mean the rout of the BJP. The Congress is willing to give up 4 Delhi seats to the AAP to ensure this. But, Mr Kejriwal has done yet another U-turn! Our doors are still open, but the clock is running out,” he tweeted with the hashtag, #AbAAPkiBaari. Haryana, sources said, was the main demand as the party believes it has enough support in Gurgaon, Faridabad and Karnal seats to win with an alliance. According to sources in Congress, this demand was never put forth when the possibility of an alliance was being discussed earlier. AAP has already formed an alliance with the Jannayak Janata Party (JJP), formed by OP Chautala’s grandsons Dushyant Chautala and Digvijay Chautala after they were expelled from Indian National Lok Dal. Dushyant Chautala said in a press conference in Delhi that his party will never ally with the Congress. AAP leaders Monday said no meetings were scheduled with the Congress to discuss the alliance. “There are no meetings. We are where we left the discussion last — on Haryana,” said AAP Rajya Sabha MP Sanjay Singh. PC Chacko, AICC General Secretary, also confirmed that no meetings were scheduled. “Our message has been conveyed by the party president. By tomorrow, we will finalise the names on the three remaining seats (in Delhi). The names on four seats have already been decided. All names will be declared Tuesday,” he said. AAP has already declared candidates on all seven Lok Sabha seats. Nominations for the city begin Tuesday and will end on April 26. Delhi goes to polls on May 12. Delhi Congress chief Sheila Dikshit has told the top leadership that she and the Delhi cadre are not in favour of an alliance.